As funeral directors, we often receive phone calls from people asking “How much is cremation?” That question, frankly, is like asking “How much is a car?” There are many factors related to the cost of a car and just as many factors related to the total cost of cremation. Simple Cremation, which basically is limited to the cremation of the individual and returning the cremated remains to the family. With simple cremation, there are typically no services of any kind. Memorial Service, which includes some type of a service with the cremated remains present. The service could be held at a church, funeral home, cemetery, restaurant, or another gathering place. 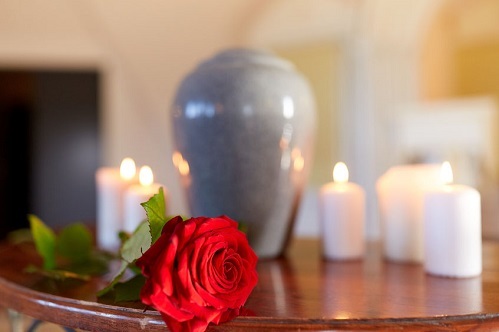 A memorial service gives friends and relatives the opportunity to pay their respects to the surviving family members and to the individual who passed away. Ceremonial Cremation, which would typically involve a viewing of the deceased person prior to cremation. This option is comparable to a traditional funeral, with the exception that the individual is cremated at the conclusion of the services. Once you have considered the three types of cremation, there are many other considerations as well, and each decision will affect the scope and price of the funeral services provided. Will you be choosing an urn? Purchasing flowers? Publishing an obituary in the newspaper? Paying clergy fees or cemetery expenses? Providing a luncheon or reception for family and friends? As you can see, how much cremation costs is not a simple question! Funeral directors will be happy to sit down with you or counsel you over the phone to help you decide which type of cremation service is right for you. In doing so, your funeral director can give you a fairly accurate expectation of what the total cost would be. At Legacy Funeral Chapels, we believe in education first. We are happy to meet with you and discuss your needs in a setting that is most comfortable for you. There is never any obligation; we wish only to inform you of all the options that are available. I appreciate what you said about ceremonial cremations and how they entail a viewing of the body prior to cremation. Cremation seems like a cost-effective and elegant way to have a funeral service. I am considering getting cremated when my time comes, so I’ll be sure to contact a funeral home that can adhere to my request.